Love ’em or hate ’em, we have the most enthusiastically activist Supreme Court in memory. The Supremes are taking on another patent case, this time relating to the on-sale patent bar. In general, when the Supreme Court decides a patent case, the law is in worse shape than it was before. The question is, does the ‘on-sale bar’ apply to sales that do not disclose the invention? From 1836 to the America Invents Act in 2011 and based on many decisions, the answer was ‘yes’ – any sale or offer for sale of a product, including a secret sale, triggered the ‘on sale bar’ whether or not the sale disclosed the invention. The Federal Circuit Court has adopted the position that after the 2011 America Invents Act a sale that does not disclose the invention does not trigger the on sale bar. The Federal Circuit’s interpretation effectively expanded the options available to invention owners to defer patent filing. 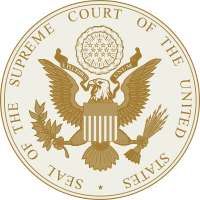 The Supreme Court has agreed to hear an appeal of the Federal Circuit’s position. When the Supreme Court agrees to review the Federal Circuit, it usually reverses, gives the Federal Circuit a good spanking, and sends it to bed without its dinner. The case is Helsinn Healthcare v Teva Pharmaceutical. *The USPTO takes the position that after the America Invents Act an event that triggers the on-sale bar starts a one-year countdown to file a patent application. We respectfully disagree and believe that the USPTO should stop smoking so much dope.